Many natural remedies for weight loss keep coming around these days but not all of them are effective or last long. People often look for natural home remedies to help them lose weight without any side effects. Theses usually work over a period of time and when combined with exercise and diet offer remarkable results. 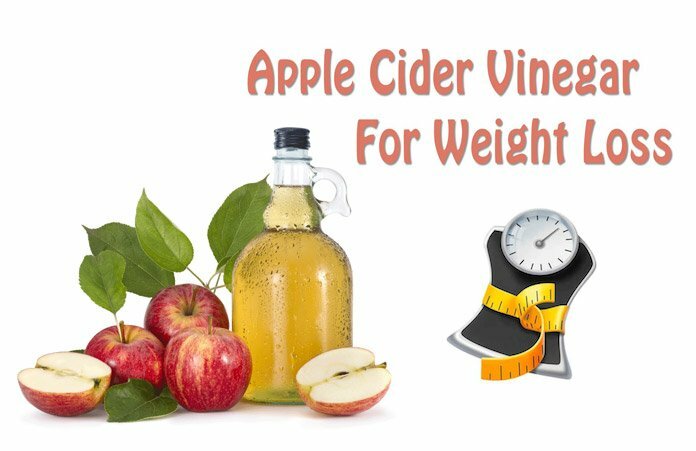 Apple cider vinegar is one of the best solutions that offer a natural way for weight loss when included in your diet. It is nothing but the extract of apples to make vinegar; it has a pale or amber color and it is acidic in nature. Apples contain pectin which makes you feel fuller while the acidic nature of this miracle potion helps with the digestion of protein. In place of fat burning pills or other medicines with side effects, apple cider vinegar is the perfect home remedy for weight loss. So incorporating apple cider vinegar in your daily intake is sure to be effective for those aiming at reducing weight over a period of time. Apple cider vinegar contains organic acids, minerals, vitamins and enzymes that improve and boost metabolism enabling our body to burn fat faster and prevent the accumulation of fat. It also helps control binge eating and sugar cravings as it is rich in potassium and fibers that control glucose content in our blood. Due to its high fiber content it absorbs toxins and helps in the detoxification of our body. In addition to this it also curbs water retention in the body. When you have sudden hunger pangs you feel the urge to nibble in between meals. 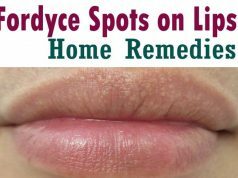 This is caused due to unstable blood sugar levels and apple cider vinegar goes a long way in keeping it under control. Apple cider vinegar when consumed before a meal helps to control insulin levels. When it is kept under check it is easier to stick to a diet plan without reaching out for snacks in between. Apple cider vinegar improves satiety that is the feeling of being full or satisfied after a meal. This is due to the presence of pectin which gives the feeling of satiety thereby limiting the quantity you consume during a meal .This benefit can be achieved when it is consumed before or after a meal. By increasing the feeling of fullness you will end up reducing your food intake which will be beneficial with weight loss over a period of time. Combining this with a high protein meal further increases the feeling of satiety thereby reducing calorie intake as well. Using apple cider vinegar as a home remedy to aid with weight loss helps boost the metabolism of your body and in turn improves fat burning. It aids in breaking down and absorbing nutrients from fats and proteins efficiently and quickly from the digestive system. The presence of abundance of organic acids and enzymes stimulates metabolism and increases the rate at which body burns fat. Your body often requires regular detoxification for keeping healthy. Apple cider vinegar as a home remedy aids the flushing out of toxins in a large way. The high fiber content absorbs the toxins and help in improved bowel movement thereby allowing your body to take in maximum nutrients from the food you consume. Apple cider vinegar is a probiotic that helps in the overall improvement of your gut health which aids in weight loss all-round health benefits. Probiotic bacteria are known to control and treat obesity. This potion being a rich probiotic drink offers all the benefits for weight loss and improved digestive functioning. The ideal and most effective time to consume apple cider vinegar is before a meal or early in the morning as soon as you get up. By consuming it before a meal you increase the chances of thorough digestion of the food you eat. It also breaks down and aids in the digestion of protein that aids hormone synthesis. Since it stimulates digestion it also reduces the time that fat remains in the digestive tract. You can start with 1 teaspoon of apple cider vinegar or consume the concoction once a day and then gradually increase it as you get used to it. Drinking apple cider vinegar without diluting is not recommended as it may irritate your throat. The taste of apple cider vinegar is however not very pleasant for consumption and hence here are several ways to make it more palatable with additional health benefits. Add a tablespoon of honey to the concoction for a bit of sweetness. Honey is also known to boost energy levels and aid with the digestion process. Lemon adds a zesty flavour with the added benefit of flushing out toxins and curb hunger pangs. An addition of the flavourful cinnamon not only adds aroma but also helps lower bad cholesterol level and regulate blood sugar levels. A teaspoon of ginger juice adds a zingy flavour and also acts as a natural hunger suppressant while simultaneously working on improving digestion. Adding just a pinch of cayenne pepper improves the efficiency of apple cider vinegar as it boosts metabolism and curbs appetite. What kind can be consumed? The best type of apple cider vinegar to consume is the raw and unfiltered one that is organic in nature, this is the most unadulterated form that is apt for consumption. It contains what is known as ‘mother of vinegar’ a substance rich in living nutrients and bacteria which offers additional health benefits. It is always useful to have a bottle of apple cider vinegar in your kitchen cabinet as it is one of the most inexpensive ways to lose weight. One of the highly recommended brands of apple cider vinegar for weight loss is BRAGGS. It contains all the qualities required in good apple cider in order to deliver weight loss benefits as it is organic, raw, unfiltered and unpasteurized. The main benefit of consuming apple cider vinegar is to cleanse the system and detoxify it. This is a perfect home remedy natural detoxification and cleansing of the system .First thing in the morning you want to have a glass of water with 1 teaspoon apple cider vinegar before breakfast, at least 30 minutes earlier. Keep the morning breakfast light and healthy like whole grain cereal, granola and fruits. Similarly before lunch and dinner you want to consume the water and apple cider vinegar mixture in similar proportions. Ideally it is good to include salads, high protein food and fruits for maximum benefits. Maintaining a healthy and nutritious diet also plays an important role in improving the effectiveness of consuming apple cider vinegar for achieving best results. 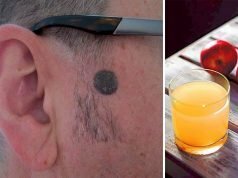 If you are finding it really had to drink this concoction there are other ways to include the miracle elixir in your diet that may prove to be tastier. A simple apple cider vinegar salad dressing adds a zesty and tangy flavour to your veggie mix. Just take equal portions of olive oil and apple cider vinegar, add salt and pepper for taste and whisk this mixture. Drizzle on your salad for the perfect delicious dressing. A quick and refreshing drink with apple cider vinegar can be prepared in a jiffy that is both sweet and zesty. In a glass of water add 2 tablespoons apple cider vinegar, 4 teaspoons honey or maple syrup and 1 teaspoon grated ginger. You can whip up this refreshing drink and top it up with ice for the summer. When apple cider vinegar is combined with green tea you get the ultimate health drink that is sure to boost your immunity. Brew 1 cup of green tea, add a teaspoon of apple cider vinegar, a squeeze of lemon, 2 drops of honey and a piece of ginger and let this sit for a few minutes in the tea. You can enjoy this warm and soothing drink in the morning or evening, before or after a meal. You can prepare a simple juice with the use of a dash of ginger and a splash of honey to help eliminate the pungent and acidic taste of the apple cider vinegar and consume this drink anytime during the day. Ginger also aids with digestion while honey is a natural sweetener without the caloric intake of added sugar. Make this drink a part of your everyday diet and soon you will develop a taste for this miracle elixir not to mention you will experience not only weight loss benefits but other health benefits as well!